Brooke likes coming to Merrimu to see the friendly staffand to catch up with her friends. 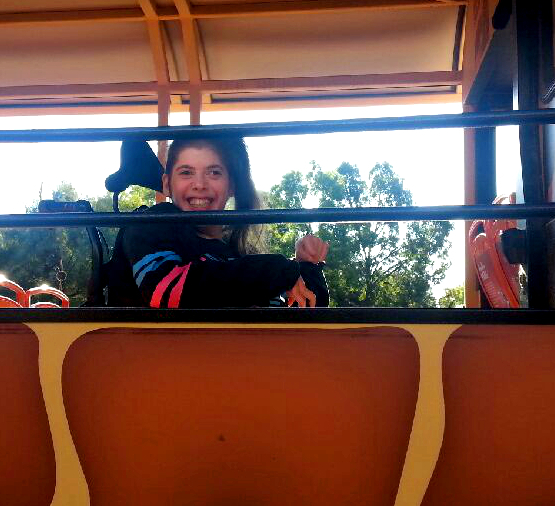 She goes to the McKenzie St Hub and also to the Bacchus Marsh Centre. Brooke has big goals, she wants to live on her own and get a job. Brooke is very proud that in the past twelve months she has achieved so many milestones towards these goals. Brooke is learning how to cook healthy meals at the Melton Hub. She enjoys cooking and enjoys the challenge of learning all the steps involved from budgeting and shopping to storing food safely. nds maths easy and she likes learning about money. In the future Brooke wants to go to Christabelles and get work experience. She’s been learning about money and serving customers and would really like to work on these skills at Christabelles soon. Brooke has also enjoyed making new friends “I like to go to Woodgrove and go for walks around the track with my friends” she says. This story is from our 2015 Annual Report. You can read more on our Publications page. Marcus says that before Merrimu he pretty much did nothing. “I was having a go, trying to deal with my anxiety and trying to get better. I did the usual day-to-day stufflike cleaning the house,” he says. Marcus says that working with his support worker Peter has helped him feel more confident to try new things without feeling anxious. Before he started at Merrimu one of Marcus’ goals was to travel outside of his hometown Ballan. Since he’s been supported by Enhancing Independence, Merrimu’s 24/7 personal care, Marcus has been out a lot visiting other towns. 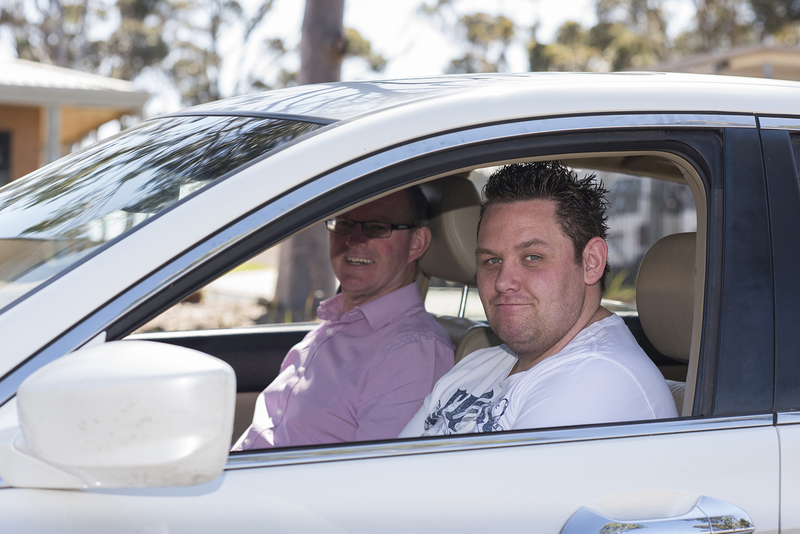 Marcus was very happy when he was able to go to Ballarat without feeling anxious. In the past Ballarat was a place that held some painful memories. Chelsea says she enjoys coming to Merrimu because it helps her.She enjoys cooking and going for walks from the Hub in Melton to learn where things are and how to be safe in the community. Building Life Skills is about supporting people to gain confidence and take control of their own lives. Examples of activities in the program include cooking and healthy eating, setting budgets, shopping, travelling independently and the ‘Healthy Friendships’ course. 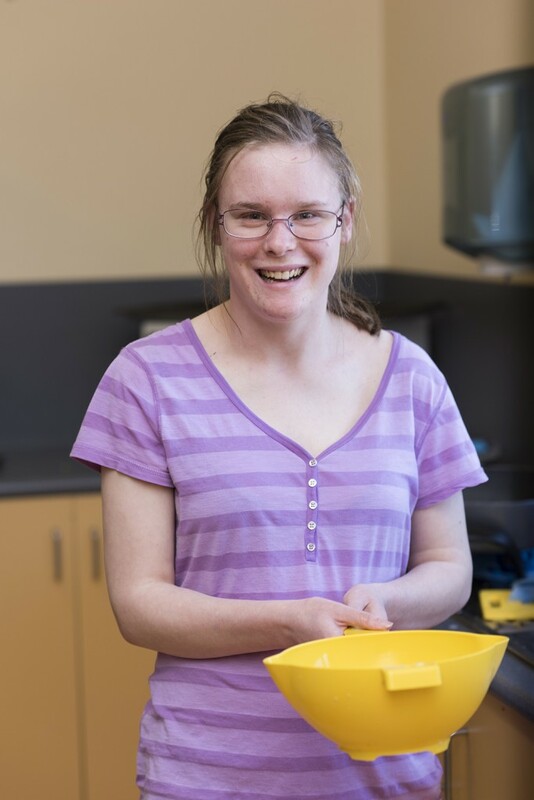 Chelsea is focusing on building life skills through her cooking and community access programs at the Hub and socialising and customer service at Christabelles.Chelsea likes working at Christabelles the most because it’s fun. “I help the customers, do the cash register and the card thing,” she says. Jordan completed his Year 12 VCAL (Victorian Certificate of Applied Learning) before starting at Merrimu. 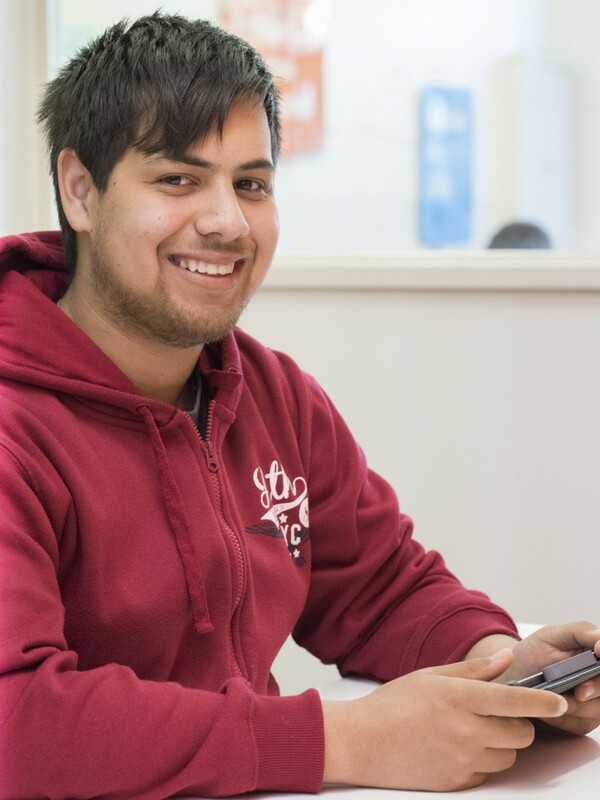 Since coming to Merrimu he has completed a number of programs from an Intermediate Certificate in computers to a Certificate in food handling and cooking. 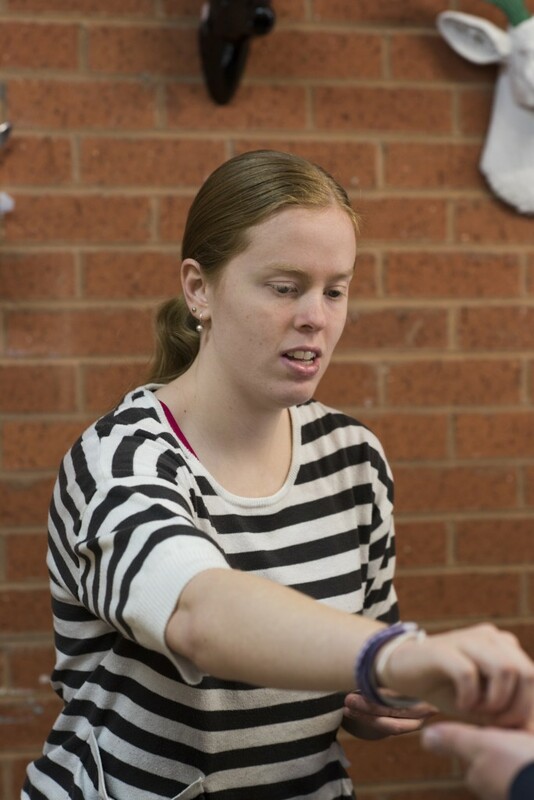 Jordan attends Merrimu’s Hub in McKenzie St Melton and says “I like working on my cooking and money handling skills”. The Hubs provide more choice and fresh options for school leavers and people looking to access alternatives with a focus on vocational and education programs and building life skills. A big highlight for Jordan is studying to get his learner’s permit. He is currently studying road rules and what the responsibilities of a driver are so that he can sit for his learner’s permit test. Jordan has completed an intermediate computer course and he is very proud that he finished the course. Jordan says he enjoyed learning cooking and how to handle and store food properly and is very proud that he has achieved his food-handling certificate. “I enjoy Merrimu and think I have done well and worked hard.” Jordan would like to get a job next and live a happy life. 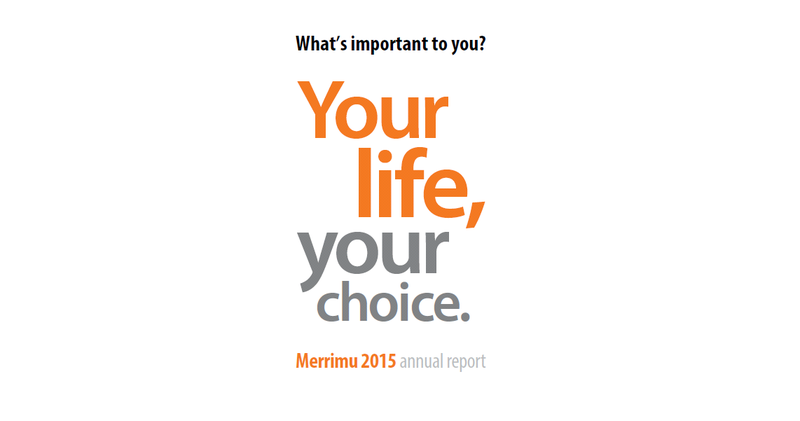 Our Annual Report for 2015 is now available on our website! There are some great stories of what has been achieved by the people we support and we will be featuring them individually on our Facebook page over the coming months. So keep an eye out for them! You can read our annual report on our publications page, which also features fact sheets and other information about what we do. Merrimu respite program extended for another four weeks! We are very excited to announce we are extending our respite program for four more weeks! This means there will be two respite programs running every Saturday until the end of July. You can click here for the full extended respite schedule.